here to answer any questions you may have. Are you looking for property in a specific location or in a certain price range? Sign up for FREE email updates and put us to work for you. Thank you for visiting our website. For the past 40 years we have helped many buyers and sellers move throughout the Southern Maryland area. We pride ourselves in customer service and guarantee that we can answer any questions you may have concerning the moving process. 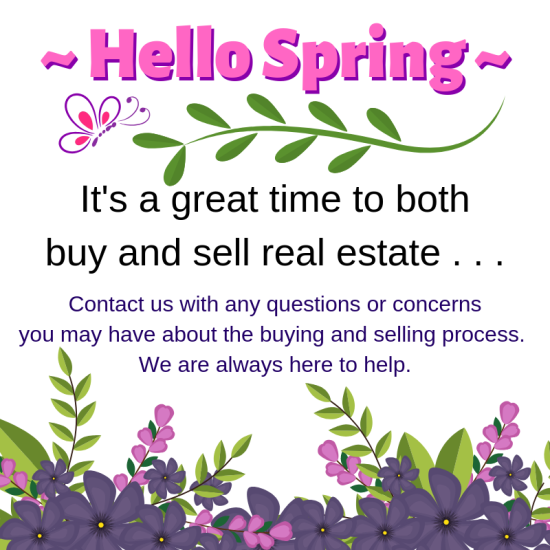 Please give us a call at anytime 301.884.7000 and we can assist you through the buying and selling process. Whether you are relocating to the area, selling your first home, renting a home or just looking for more information we will provide you with the assistance you deserve. Please give us a referral, it's the greatest compliment we can receive. Many renters can purchase & don't know it!